We are now a day out from that holiday that is all about hearts. Heart shaped everything goes tomorrow, from candy to clothing to even pizza (and ravioli which you will see in a moment). For my family this year, hearts have a different meaning. On January 31st, my wife had to rush me into the ER. I was having an episode of Supraventricular Tachycardia. My heart was beating at a faster rate. I feel miserable. This episode I couldn’t stop at home so had to go to the hospital. It resolved there. However the doctor’s discovered that I have heart failure. Not something you expect to hear at age 36. They do not know why this happened. Could be a genetic as my mom’s family has a history of heart problems. There is a hope that my heart can recover with times, rest, and the right medicines. I feel fine physically, but for now I can not work my day job until further notice. A kind and loving friend of ours has set up an YouCaring page to help us get through this time period. In the mean time (and the good news), I am going to have plenty of time this week to devote myself to the blog. I am going to start it off with my Costco Food Finds post for the month. I visited Costco this morning, here is what I found. Ravioli just in time for Valentine’s Day. 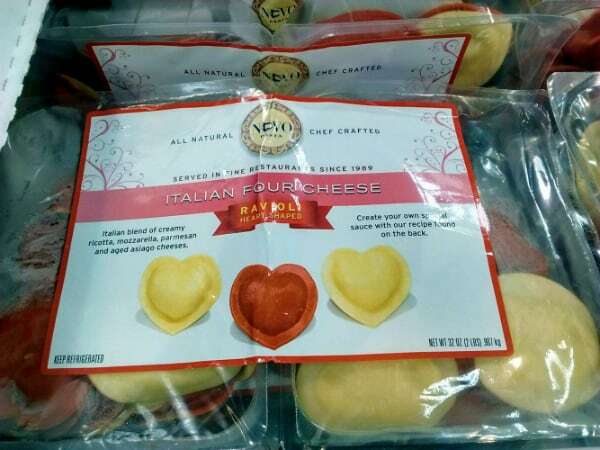 How fun – heart shaped ravioli that contain Ricotta, Mozzarella, Parmesan, and aged Asiago cheeses. Nuovo makes high quality pastas. I had their St. Patrick’s day themed shamrocks last year and adored them. You don’t get better ravioli at home unless you make it yourself. I have a recipe for the shamrocks ones that would work just as equally well for these. It’s a red sauce too, so goes right in with the Valentine’s Day theme. Go wild with wild frozen blueberries. A great price at Costco. 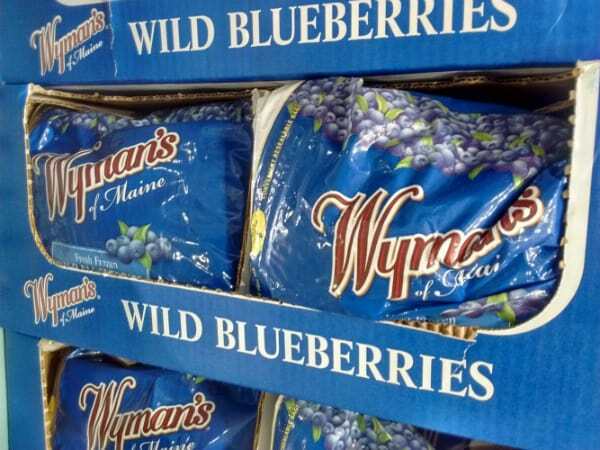 Wild blueberries are hard to find in their fresh format. These berries tend to be more flavorful. The plants themselves grow on low bushes, making them harder to harvest. Higher bushes varieties were developed, but the flavor was lost along the way. For any of your blueberry recipes give these frozen wild blueberries a try. A 4 pound bag of them for $9.59 is a great deal. You will spend more at other stores on just regular frozen blueberries. A nice alternative to maple syrup for those pancakes. Speaking of wild blueberries – for an easy alternative to maple syrup for your breakfast table, I found some wild Maine blueberry syrup from Stonewall Kitchen. 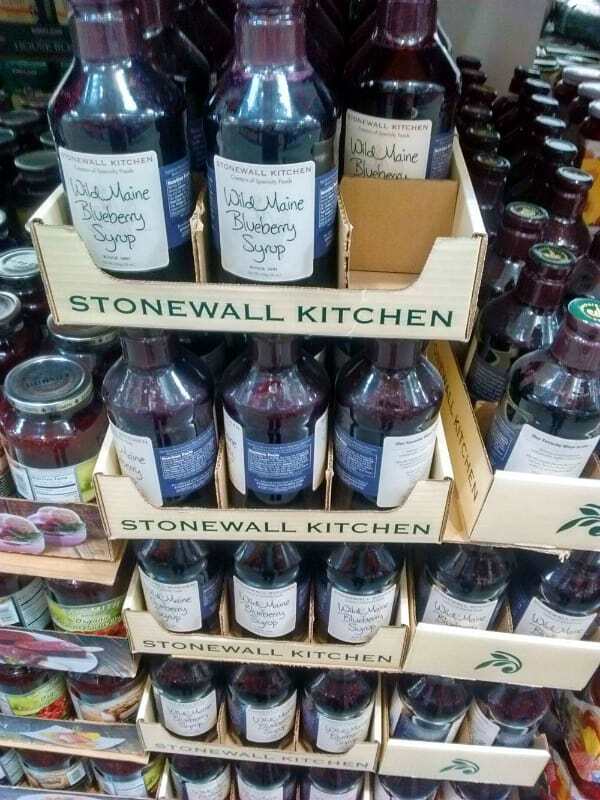 I haven’t tried it myself, however Stonewall Kitchen is a very reputable brand. 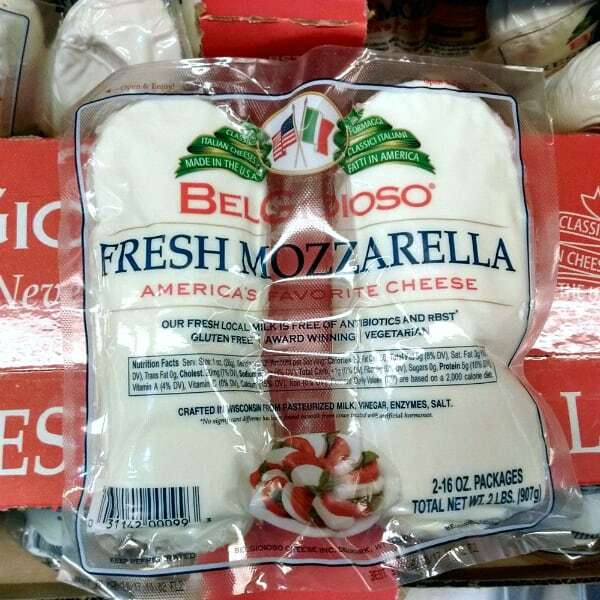 Affordable and delicious fresh mozzarella cheese. Pizza please! I try to feature at least one cheese a month. This month I am sharing a classic fresh mozzarella made by Belgioioso. This stuff melts beautifully on a pizza and is wonderful in a salad. And at $3.50 per pound, you can’t do much better. 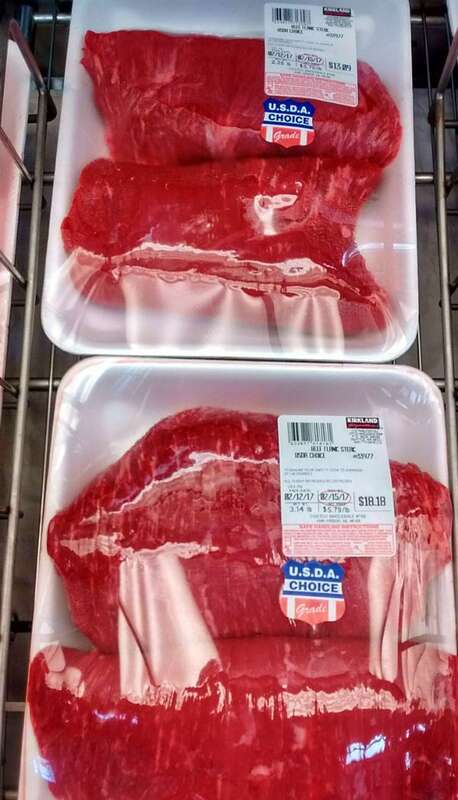 A leaner choice for steak. 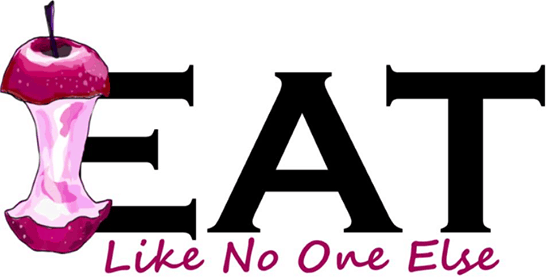 Because of the current state of my heart, I am choosing to avoid red meat for the most part, especially the fatter cuts. If I do eat any it’s going to be a leaner cut like flank. If you look in the picture you see a lot of red not a lot of white (or fat). This steak does really well when marinated and cooked quickly on the grill or in your oven’s broiler. Slice it thin and against the grain and you will have a flavorful, tender, and lean steak. For flank steak ideas, check out my post What to do with Flank Steak. Simply said, a good pear. I didn’t see any apples worth my time at Costco during this visit. There were apples but nothing at peak of flavor or crispiness. When that is the case, I go for pears. 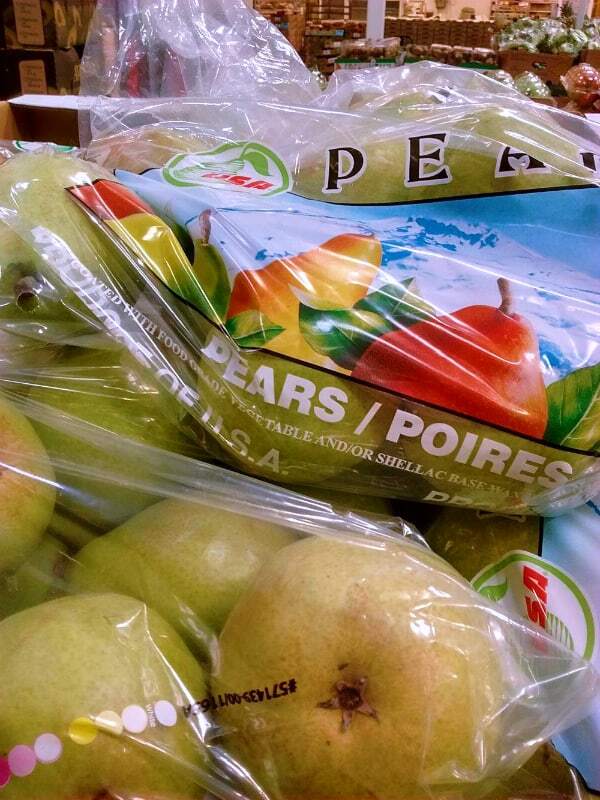 D’Anjou pears are the best choice now. D’Anjous are sweet and have good flavor. You eat them a little firmer than you would a Bartlett pear. They last a long time, so you can put some in the fridge and some leave out to ripen. You can tell when they are ripe when you apply a little pressure to the top of the pear around the stem (see my post on how to tell if a pear is ripe). The best tomato in the winter time. The winter time can be blah for tomatoes. 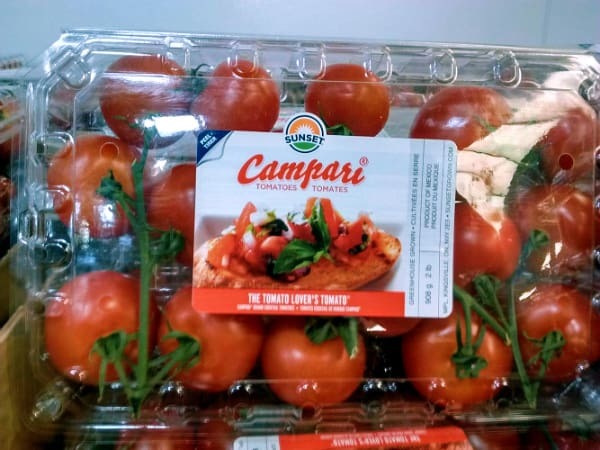 If you really need fresh tomatoes I would opt for these Capari tomatoes from Sunset. There the only ones i saw at the store that I think may have some flavor to them. 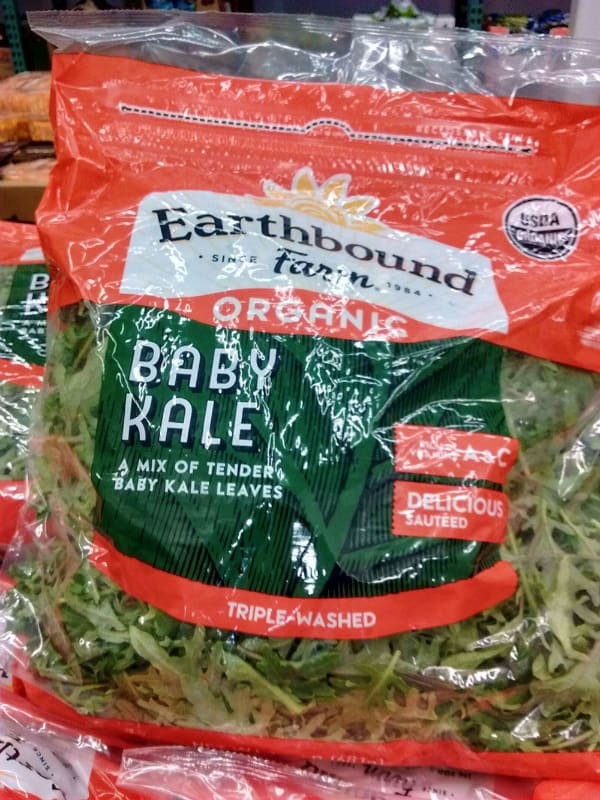 Get over your fear of kale, by trying baby kale first. Are you a kale fan? If not, but you want to be because everyone says how good it is for you, I recommend starting with baby kale. It is more mild tasting than the full grown version. It is easy to eat in a salad. You can even mix it up with some spinach if you like. It is also very easy and convenient to add to smoothies or juices in it’s baby form. Cara Cara Navels are red inside. If you have never had a Cara Cara navel you are in for a treat. They look like a regular Navel orange on the outside but when you open them you will be amazed by their bright red or pink color. The flavor is different as well. It has a subtle berry like flavor and it is not as acidic as standard Navels. Right now is the peak of their season. $1.06 per pound price is great too! 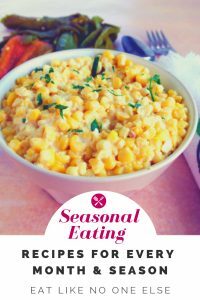 Want to know more about them and their season? 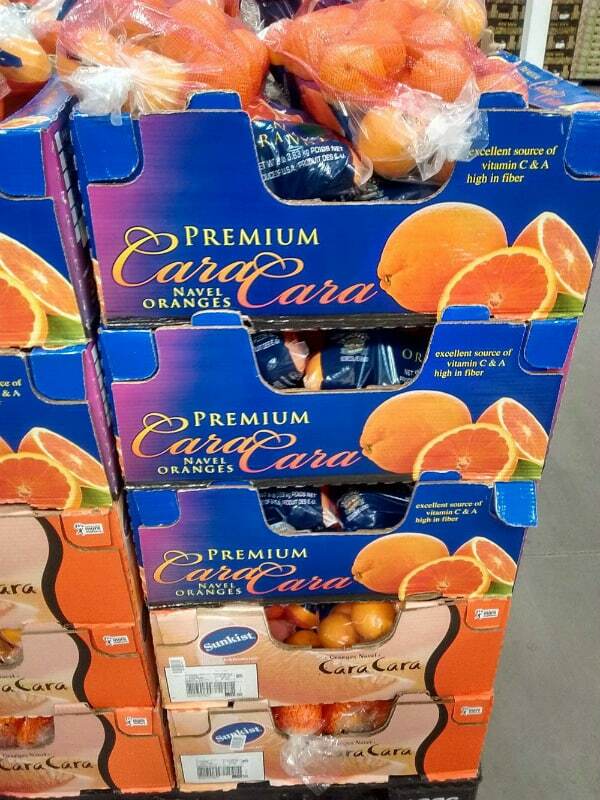 Check out When are Cara Cara Navel Oranges in Season? 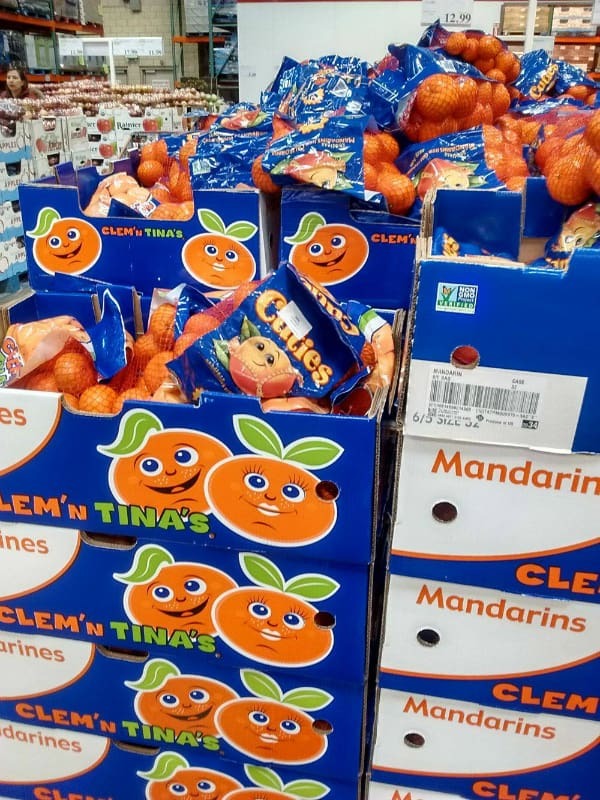 Whether they are Cuties or Clem’n’Tinas brands, this time of year they are not the Clementine variety. Read the sign. It says these are Clementines. They are not. Clementines. Well I am here to tell you these are not Clementines. Often Clementine is used to describe every bag of smiley faced easy to peel mandarins. 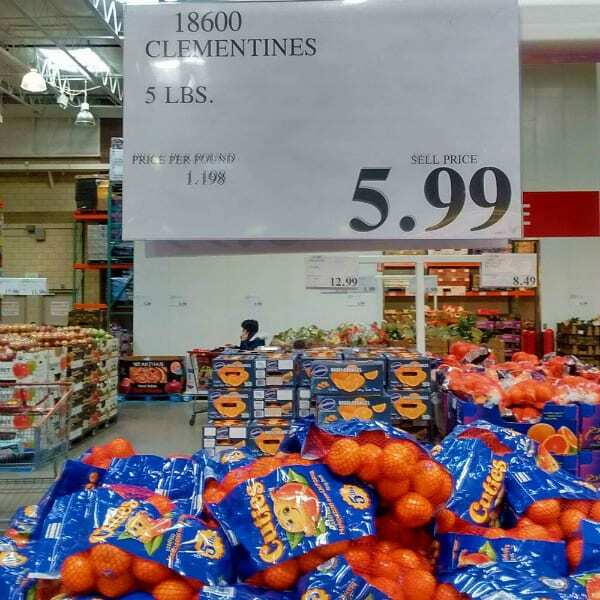 However by February, the actual Clementine variety is gone from stores (read more about this in my Cuties vs. Halos post). It drives me nuts when stores do this. Since i have been studying varieties of mandarins over the last several years, I can look in these bags and tell you just by looking at the these mandarins are either the Tango variety or the Murcott variety. 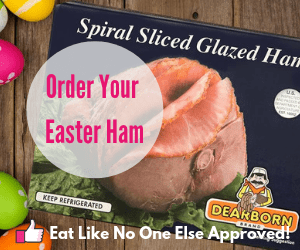 Want to make sure you don’t miss out on my next Costco Food Finds post. Sign up below to be added to my Costco specific e-mail newsletter.